Third-grader Betsy and her friend Billy seem to be always getting into scrapes both inside and outside of school. The school year is about to start, and Bigfoot is worried about all the things that could go wrong--but he also remembers that all his friends will be there. 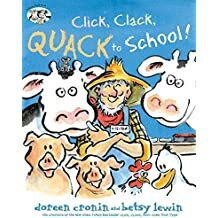 When Farmer Brown and the animals are invited to Farm Day at school, he instructs them to be on their best behavior, forgetting that school can be like a barnyard. Emily is worried about starting school for the first time, but Foxy waves his magic tail to provide what she needs to be ready. Llama Llama experiences separation anxiety on his first day of nursery school. Children gather for a first day of school celebration that calms their worries about the day. Includes note about the history of such celebrations, and a related website. Disregarding warnings about the creepy mansion outside of town, Annie bravely goes to investigate on Halloween night and gets a big surprise. When skeletons take over a small town, the grown-ups call off trick-or-treating, but the kids in town vow to save the day. Farmer Brown does not like Halloween, but the animals hold a Halloween party in his barn. When babysitter Lulu takes the five little monkeys trick-or-treating, they decide to change costumes with their friends and try to fool Lulu and their mother. Easy to read, rhyming text about Halloween night incorporates Spanish words. As Halloween nears, Monster tries out a variety of costumes, including a cowboy, a ballerina, and a ninja, but finally comes up with the perfect idea. One October night in 1745, John Leep, a mean and stingy lawyer, sets out to evict a widow from one of his rental houses and is followed by a ghostly rider. 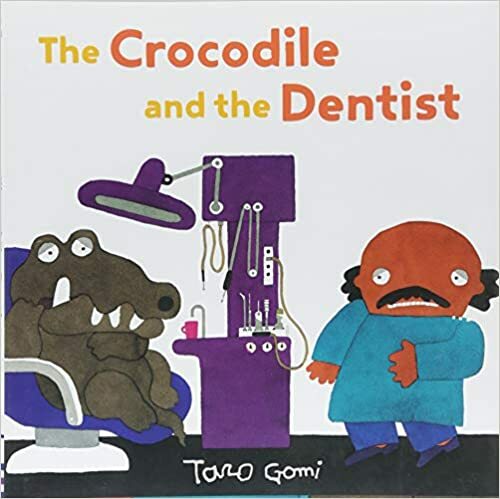 Crocodile goes to the dentist, and both of them have to overcome their fears--not only of tooth extractions, but of each other. When a slice of pizza realizes it is about to get gobbled up, it quickly offers a few suggestions on what you can eat instead. In this interactive picture book, the reader must help Bunny as he gathers apples to eat, and uses his red scarf to climb a tree or create a rope bridge. A glimpse of costumed mermaids leaves one boy flooded with wonder and ready to dazzle the world. When Little Mouse realizes he has nothing for breakfast the next morning, he makes his way to the kitchen next door and finds all sorts of appetizing foods that will be perfect for his breakfast. Ruby wants to build a fort, but her three brothers refuse to help, so when the fort is finished Ruby will not let them join her--until the boys come up with a few embellishments for the fort, like a mailbox, a garden, and a fresh coat of paint. When young Mae Jemison is asked by her teacher what she wants to be when she grows up, African American Mae tells her mostly white classmates that she wants to be an astronaut, a dream that her parents support. A boy's mother, reluctant to allow him even one pet, is increasingly unhappy as each pet wants a pet of its own. A young girl describes where she finds colors in both the world around her and beyond what she can see. Moose has his hands full during the summer of 1936 watching his autistic sister, Natalie, and the warden's daughter, Piper, and trying to get on a baseball team by proving he knows Al Capone. Thirteen-year-old Bina faces her first summer without her best friend, Austin, who has left for soccer camp. A misfit girl and her brother attend summer camp, where they struggle with primitive plumbing, snobby tentmates, and boys-versus-girls competitions. In Pakistan, Amal holds onto her dream of being a teacher even after becoming an indentured servant to pay off her family's debt to the wealthy and corrupt Khan family. When an unlikely parking ticket pulls Bolivar into an adventure from City Hall to New York's Natural History Museum, he must finally make a choice: Bolivar can continue to live unnoticed, or he can let the city see who he really is. Cap'n Buck tells Little Charlie that his father's debt will be cleared when the fugitives are captured, which seems like a good deal until Little Charlie comes face-to-face with the people he is chasing. Lu knows he can lead Ghost, Patina, Sunny, and the team to victory at the championships, but it might not be as easy as it seems. Lu needs to figure out, fast, what winning the gold really means. When his father brings home an ailing, newborn donkey, Louie names the animal Winslow and takes care of him, but everyone, including Louie's quirky friend Nora, thinks Winslow is not going to survive.